Congratulations! You've made the awesome decision to invest in a professional photographer to capture your portrait and memories! You've been searching all around and finally found one that best suits the style and quality you have been looking for. You understand that you are hiring this professional to create art for you, to capture your once in a life time memories, to make you look your best. You are thrilled to see the results of their time and efforts! You ooo and ahhh and even cry over how beautiful everything turned out! And then you take the digital files you just invested so much time and money into and you....take them to Wal-Mart? I totally understand that you may think an 8x10 is an 8x10, but I'm here to show you why it matters to print responsibly. When you take your images down to the local drugstore you are taking a gamble. For starters they use nothing more than ink jet printers like you have at home and you have no idea when the last time those machines were serviced or how they were calibrated. You may end up with over saturated and yellowish prints one week, and totally dull and blueish prints the next. 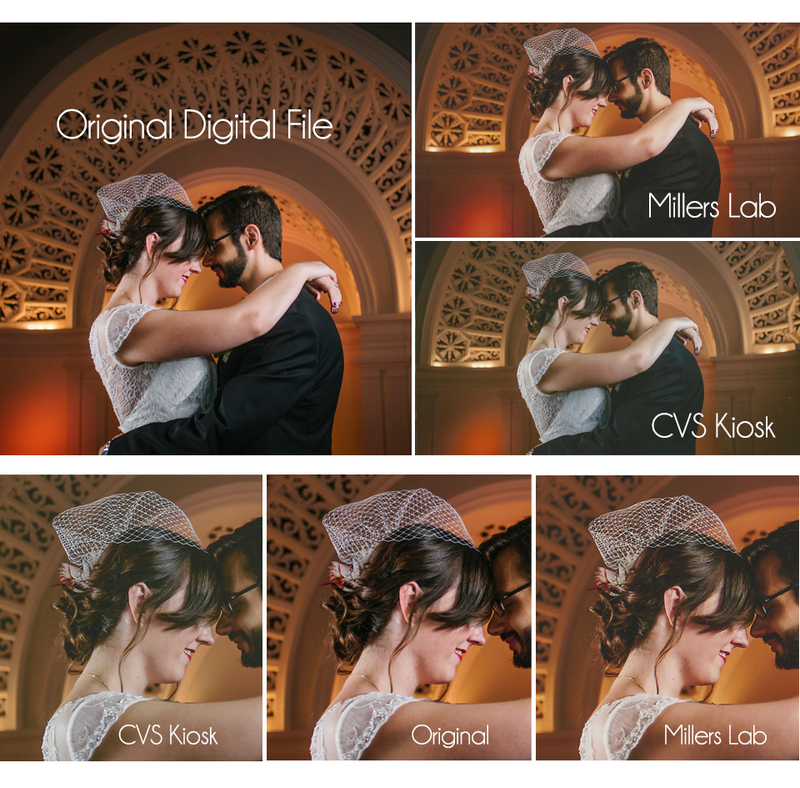 As a professional photographer I have access to professional photo labs. I have sought out the best in the industry, and a USA based one at that, Millers Lab. When they make prints they use only the best true photographic papers, inks, and processes. Their prints come as as close as you can possibly get to the original digital file. They are also all archival, meaning they are acid free and will last 100+ years! See the difference for yourself below. I understand why you may want to own all of your digital files and I am all for it. But when it comes to making prints of your most cherished photographs I encourage you to follow your investment through to that last step and order professional prints. You and your grandchildren will be glad you did!